How to explain the gospel effectively in the context of cultures other than Western ones. These Biblical scholars shed light on the ways that Western readers often misunderstand the cultural dynamics of the Bible. In this novel for adults, Broken Windows introduces us to Jordan, an adult MK, who works to makes sense of American culture. Déjà Who? takes the reader deeper into cross-cultural relationships as Jordan and Zophie work with international students in Minneapolis. In this novel for teens Daniel leaves his normal live in Seattle to live in China with his tent-making parents. First in this pre-teen novel series about an American girl living in London. When her family moves to London, 15-year-old Savvy Smith has to make her way in a new school and a new country. In this pre-teen novel Amy moves with her missionary family to Taiwan and experiences changes in almost every area of her life. In this pre-teen novel Josh moves from Denver to rural New Zealand and struggles to adapt in a world with rules that are similar to his, but just enough different to get him into trouble. 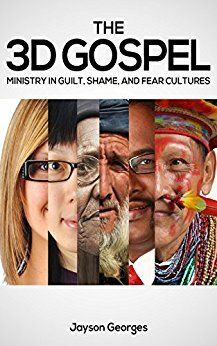 Note: I am currently looking for Christian books with cross-cultural themes and finding them hard to find. If you know of some not listed here, please suggest them in a comment.